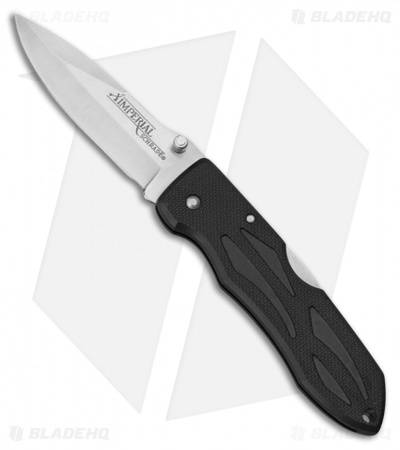 The Imperial Schrade IMP0028 is a folding knife for everyday chores. Satin finished stainless steel spear point blade with a thumb stud opener. Textured black composition handle with lockback mechanism. Stainless steel pocket clip and hole for lanyard attachment.